Roger Roberts Avary (born August 23, 1965) is a Canadian-American film and television director, screenwriter, and producer. He collaborated with Quentin Tarantino on Pulp Fiction, for which they won Best Original Screenplay at the 67th Academy Awards. Avary directed Killing Zoe and The Rules of Attraction, and wrote the screenplays for Silent Hill and Beowulf. Avary also wrote and directed the neo-noir thriller Killing Zoe (1994) which Quentin Tarantino executive produced. The film was honored with le Prix très spécial à Cannes 1994, the very same year that Pulp Fiction won the Palme d'Or. It continued to win awards worldwide on the festival circuit, including the Grand Prize at Japan's Yubari International Fantastic Film Festival in February 1994 and the Italian Mystfest. Roger Avary & Quentin Tarantino collaborated on the 1994 film Pulp Fiction for which they won the Academy Award for Best Original Screenplay. He wrote much of the outline for "The Gold Watch" segment in "Pulp Fiction". In 2002, Avary directed The Rules of Attraction, an adaptation of the Bret Easton Ellis novel, which he also executive produced. As of 2009, the film ranked as the twenty-seventh highest grossing college comedy of all time. The Rules of Attraction was the first studio film to be edited on Apple's Final Cut Pro editing system. Avary became a spokesperson for Final Cut Pro product, appearing in Apple print and web ads worldwide. Avary and the film's composers, tomandandy, developed the audio format Mono SR for the film. Mono SR is an open source audio format that maintains the simplicity of monaural sound when motion picture delivery requirements include Dolby Digital noise reduction. In 2004, Avary directed the film Glitterati (2004). In 2005, Avary, at the request of his friend, actor James Van Der Beek, played the part of a peyote-taking gonzo film director Franklin Brauner in the film "Standing Still." In 2006, Avary wrote a screenplay adaptation to the Konami video game, Silent Hill (2006), with French director and friend, Christophe Gans, and Killing Zoe producer Samuel Hadida. Avary and Gans being long time video gamers and fans of the Silent Hill series, collaborated on the film. Avary and novelist Neil Gaiman wrote the screenplay for the 2007 film Beowulf which was directed by Robert Zemeckis. In early 2017 Avary directed a feature-length French-language filmed adaptation of Jean Cocteau's 1934 one-woman play, La voix humaine, starring French actress Elsa Zylberstein. In September 2017 Avary directed his own screenplay, Lucky Day, starring Luke Bracey, Nina Dobrev, and Crispin Hellion Glover, in Toronto & Hamilton, Ontario Canada. The film wrapped production on November 4, 2017. On January 13, 2008, Avary was arrested under suspicion of manslaughter and DUI, following a car crash in Ojai, California, where a passenger, Andrea Zini, was killed. The Ventura County Sheriff's department responded to the crash after midnight Sunday morning on the 19-hundred block of East Ojai Avenue. Avary was released from jail on $50,000 bail. In December 2008, he was charged with, and pleaded not guilty to, gross vehicular manslaughter and two felony counts of causing bodily injury while intoxicated. On September 29, 2009, he was sentenced to 1 year in work furlough (allowing him to go to his job during the day and then report back to the furlough facility at night) and 5 years of probation. However, after making several tweets about the conditions of his stay on Twitter, Avary was sent to Ventura County Jail to serve out the remainder of his term. 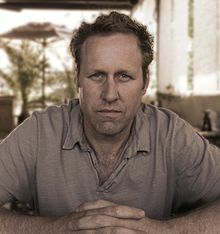 ^ a b c "Roger Avary: Biography". Turner Classic Movies. Retrieved October 19, 2018. ^ "Roger Avary". Filmbug. 2007-11-18. Retrieved 2012-10-27. ^ "Pulp Fiction Awards". IMDb. Retrieved 2015-11-22. ^ "Comedy - College Movies at the Box Office". Box Office Mojo. Retrieved 2012-10-27. ^ "More don't miss stories from Macworld page 1". Macworld.com. 2002-01-15. Archived from the original on 2008-08-29. Retrieved 2012-10-27. ^ Clint Morris. "Exclusive Interview : James Van Der Beek". Moviehole.net. Archived from the original on 13 October 2006. Retrieved 21 January 2007. ^ Matt Withers (20 April 2006). "INT: Roger Avary". JoBlo.com. Retrieved 21 January 2007. ^ "'Pulp Fiction' screenwriter Avary arrested after fatal Ojai crash". Ventura County-Star. 13 January 2008. Archived from the original on 5 February 2013. ^ Catherine Saillant (13 December 2008). "Screenwriter Roger Avary charged with gross vehicular manslaughter". Los Angeles Times. ^ "Avary Given Work Furlough at Ojai Valley News Blog". Ovnblog.com. Archived from the original on 2012-03-01. Retrieved 2012-10-27. ^ "Screenwriter Roger Avary moved from work furlough program to jail after tweeting episode". Los Angeles Times. 27 November 2009. Wikimedia Commons has media related to Roger Avary.